Comments: The large five to six foot fan-shaped fronds are blue-green and persist for a long time. Creamy-white flowers are produced on tall stalks that tower over a mature plant. Fruit can be so heavy that the stalks fall to the ground. This plant tolerates a very wide range of growing conditions from very dry to wet, poorly drained. 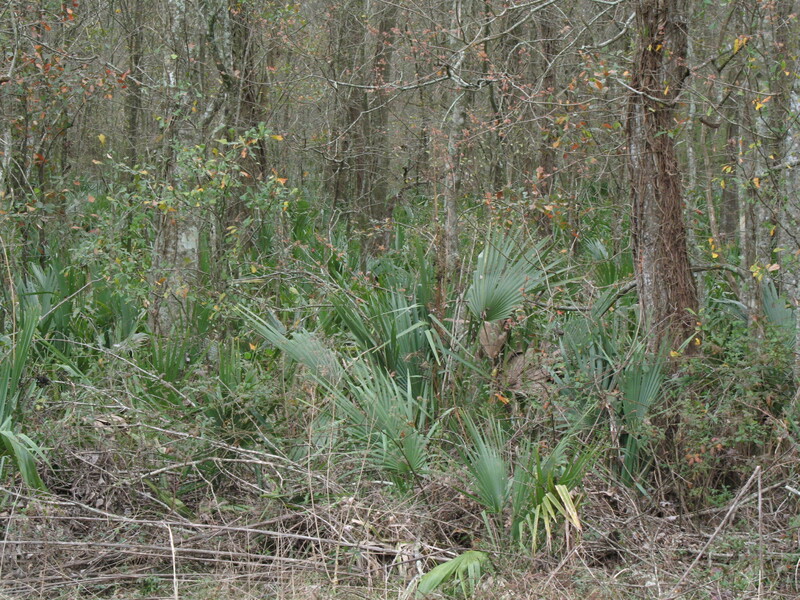 Palmettos are difficult to transplant from the native landscapes because of a horizontally growing subterranean root or portion of the trunk. Old plants form trunks over time.